HomeApril 2014: UK Government finally recognises Cornish ethnicityWho do the Cornish think they are? Ask a Scottish person to describe their identity and the reply would be Scottish. Similarly, a Welsh person asked the same question would say they’re Welsh. If the same question was asked of a Cornish person they would say Cornish, obviously – or would they? The question is asked because many Cornish claim ‘I am Cornish, but I’m English’. Why? We never hear ‘I am Welsh but I am English’. Yet, despite Cornish people having a distinct Cornish heritage, similar to that of the Welsh, belonging to families that have distinct Cornish surnames that can be traced back over the centuries, there are Cornish people that can readily accept the identity of another people. For while they are frequently heard declaring their pride of being Cornish, or delivering a passionate rendition of ‘Trelawny’ and the 20,000 Cornishmen, when asked about how they define their ethnicity, those same Cornish people may well say ‘English’. On a certain ‘Cornish’ rugby forum one poster has claimed that Cornish-born player Jack Nowell, playing for the English national team is ‘an inspiration for Cornish youngsters everywhere’. It’s doubtful that a Welshman playing for the English national team would be held aloft as a figurehead of Welsh identity, an inspiration for Welsh youngsters everywhere. In fact, those who visit the message board might be puzzled and question as to why, on a Cornish forum, there is strong support of the English national team rather than that of their Celtic cousins in Wales. This peculiar conflict of identity has been associated with cognitive dissonance; a frame of mind that affects some Cornish people. It relates to the discomfort experienced by an individual who holds two or more contradictory beliefs (I am Cornish and I’m English) at the same time, or is confronted by new information that ignores or denies any information that conflicts with their existing beliefs. The origins for this ‘Cornish / English’ dissonance may be partially explained by the various local media publications. Most of the glossy magazines distributed throughout Cornwall and have ‘Cornwall’ in their title, do little towards enlightening their readers about Cornish history and culture, but rather existing merely to promote the area as a lifestyle choice, the preferred area for those wishing to purchase 2nd houses, or holiday lets within the Duchy. Local newspapers also rarely promote Cornwall’s unique identity in a positive light. On such occasions when a story involving Cornish culture or identity arises it’s treated as something quirky, and sometimes the use of ‘quotes’ is employed. This tactic is used to give the impression that the writer of the article understands a questionable nature of that particular piece of news, then uses quotes as a means of influencing opinion against a view that the writer opposes by sowing the seeds of doubt into the minds of readers. The most likely cause, and major factor of why some Cornish people have this ‘conflict of identity’ can be directly attributed to the National School Curriculum that is overtly English. Failing as it does to include any Cornish history in context with its progression during the Roman occupation, the later arrival of other groups, particularly those people from Angelin and Saxony and the upheavals that followed, will go some way towards explaining how Cornish identity, rather than being at the forefront of Cornish history, in Cornish schools, is kept well away from the inquiring minds of Cornish school children; effectively denying children of their cultural identity that will help to ensure they become more compliant towards the acceptance of an ‘English’ identity. Cornish children have been assimilated. 1. The Parties (referring to those States that have signed up to the FCNM undertake to promote the conditions necessary for persons belonging to national minorities to maintain and develop their culture, and to preserve the essential elements of their identity, namely their religion, language and cultural heritage. 2. Without prejudice to measures taken in pursuance of their general integration policy, the Parties shall refrain from polices aimed at assimilation of persons belonging to national minorities against their will and shall protect these persons from any action aimed at such assimilation. If the Cornish would accept their Cornish ethnicity, it would serve to grow the Cornish minority rather than see it decline. Promotes the spiritual, moral, cultural, mental and physical development of pupils at the school and of society. 4.2 Teachers should take account of their duties under equal opportunities legislation that covers disability, ethnicity, gender, sexual identity, gender identity, and religion or belief. Completely agree Denzil. A BBC Kernow will indeed serve to take our Cornish identity in the right direction, and also serve to inform those who remain ignorant of such identity – including the Cornish! I hope the petition is well supported. Proper job Denzil. It seems those answering as Cornish were reassigned either to the British, or to Other. I tried asking them by email, however they misunderstood my query thinking I was asking about the ‘national identity’ question. I have yet to follow this up. Despite many approaches to the Office for National Statistics, it refused to include a ‘Cornish’ tickbox on the 2011 UK Census. You are correct, it was explained that the Cornish had to tick ‘Other’ then to write-in ‘Cornish’. 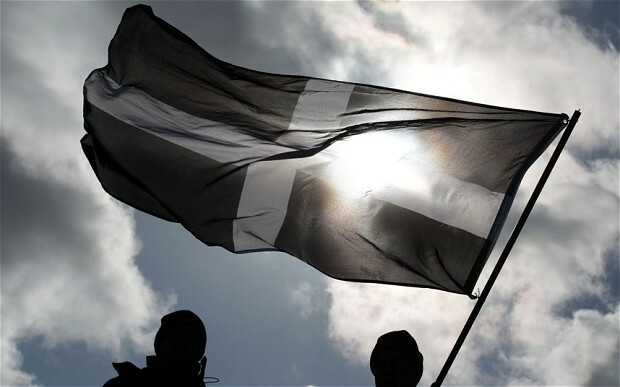 Today, even though the Cornish finally won official recognition as an ethnic group in 2014, the ONS has yet to agreed to providing a ‘Cornish’ tickbox for the 2021. The response to the 2011 census, was that total of 83,499 people from across Cornwall, England and Wales, used the “write-in” option to identify as Cornish. Within Cornwall itself, 73,200 people described themselves as Cornish on the form, equating to 13.8% of the population. This is comparable to the 14% of people in Wales who wrote-in Welsh in the 2001 census, prior to the inclusion of a Welsh tickbox in 2011. It is also particularly telling that, once a Welsh tickbox had been included, some 66% of respondents from Wales described themselves as Welsh. The provision of a Cornish tickbox could well deliver a substantial rise in those who wish to declare their Cornish ethnicity. However, due to the assimilating Anglo-centric school curriculum that fails to include any Cornish history in context of British progression, school children are taught little, if anything, of their own Cornish ethnicity. It’s true too, that some Cornish people, despite having distinct Cornish surnames, Trembath; Polmeor; Pengelly etc; and able to trace Cornish heritage going back centuries, steadfastly refuse to recognise their Cornish ethnicity. While some have acquiesced, submitted and complied with an English identity, and others, even today, remain ignorant of their own ethnicity. Such has been the success of England’s assimilation. The lack of a tick-box for ‘national identity’ isn’t really the subject of my last comment. The ‘national identity’ and ‘ethnic group’ were two different questions. If you go to the link above, you can see for Cornwall a whole list of answers ot the ‘ethnic group’ question tabulated. It seems to be fairly arbitrary what the ONS actually aggregated together and which are separately listed. Those who put “Cornish” seem not to be found anywhere, despite there being a number of groups listed that have only single figures in the whole of Cornwall. I would also be interested to know what happened to the responses where someone put “Cornwall” for country of birth. Figures from the 2011 UK Census show how many people related to a Cornish identity (both NI & Ethnicity) which amounted to 13.8%. This is the total used by this and other blogging sites. If, as you say, you’re interested in a further breakdown of the percentage then maybe the ONS can help. Looking forward to any reply you may receive, David.